ORM Fertility offers acupuncture services on site to support the transfer day of your IVF or Frozen cycle. Acupuncture is part of the Chinese system of medicine that has evolved into an effective treatment with many modern applications. The maximum benefits from acupuncture on fertility outcomes are seen with early preparation and regular treatment that includes dietary and lifestyle advice, and if appropriate Chinese herbs. Our acupuncture team advises starting treatment as soon as you know you will be planning an IVF cycle and continuing through your entire cycle for the best results. Acupuncture has been shown to increase blood flow to the uterus and ovaries, increase uterine lining thickness and it may improve the response to the IVF medications. It appears that regular acupuncture treatments beginning before stimulation for an IVF cycle and continued through embryo transfer may increase the chances of a live birth. Adding acupuncture to your embryo transfer can help reduce stress and anxiety, by helping to relax the mind and body through the release of your own natural stress relievers (endorphins), which can improve your experience on transfer day. After you become pregnant, you may continue acupuncture through the first trimester. This may help maintain a healthy pregnancy and relieve the common symptoms experienced during that time. Our Acupuncture Team is available seven days a week for embryo transfer appointments and Tuesdays and Thursdays for all other appointments. Your appointment can be easily scheduled through your coordinator at ORM. DAOM, MD (P.R.C. ), L. Ac. Hong Jin, DAOM, MD (P.R.C. ), L. Ac., received her medical degree from Nanjing University of Traditional Chinese Medicine, P.R.China, in 1985. After graduating, she taught Acupuncture and Chinese Medicine at Nanjing International Acupuncture Training Center, World Health Organization Collaborative Center on Traditional Medicine for 6 years. In addition, she has been involved in extensive research including using acupuncture for stroke rehabilitation and weight loss. Since 1992, she has taught and lectured in the United States and Canada on Acupuncture and Chinese Medicine. 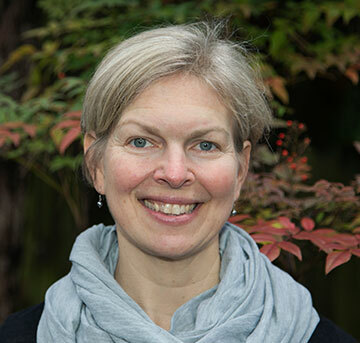 She joined Oregon College of Oriental Medicine (OCOM) as a classroom teacher and clinic supervisor in 1993, and received her doctoral degree in Acupuncture & Oriental Medicine from OCOM in 2007 with a specialty in Women’s Health and Geriatrics. She teaches Women’s healthy specialty modules in the doctoral programs at Oregon College of Oriental Medicine in Portland and American College of Traditional Chinese Medicine at California Institute of Integral Studies in San Francisco. She is the Chair of Oriental Medicine department and faculty trustee at OCOM. In 2003, she was one of two recipients of the 2nd annual “Bridges of Integration” awards presented by the Traditional Chinese Medicine World Foundation. 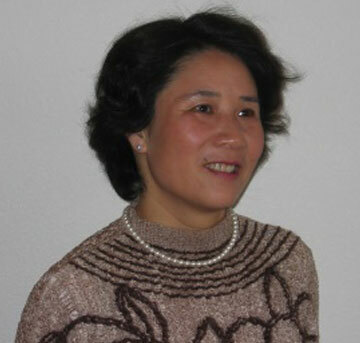 In 2012, she received the “Flying Horse” award from Northwest China Council for her outstanding service in promoting Chinese Medicine in the U.S.
Dr. Jin has worked with ORM Fertility since 1999. She is also involved nationally and internationally in promoting integrative medicine. In addition, she is a chief investigator for several NIH funded research projects, including Traditional Chinese Medicine (TCM) for Temporomandibular Joint Disorder and its relationship to hormonal imbalance in women; Endometriosis Pain: Chinese Medicine vs. Hormone Therapy; and the Complementary and Alternative Medicine (CAM) Education Project. She has also served as an advisory committee member for the Acupuncture Practitioner Research Education Enhancement (APREE) grant. Morgan Hogue, MAcOM, LAc, is an acupuncturist specializing in women’s health, fertility and pregnancy care. She graduated with a Master’s Degree in Acupuncture and Oriental Medicine from the Oregon College of Oriental Medicine in 2006. Morgan is board certified in acupuncture and Chinese herbs by the National Certification Commission for Acupuncture and Oriental Medicine. Morgan has found acupuncture to be effective during the fertility process and into pregnancy. She has significant experience working with patients during their IVF cycle and on the day of their embryo transfer. Morgan is described by patients as a warm, caring, compassionate practitioner. In addition to specialized training in the areas of fertility, pregnancy care and women’s health, Morgan has studied and is a practitioner of the Arvigo Techniques of Mayan Abdominal Massage™. She is currently seeing patients at Blossom Clinic in NE Portland. In her free time, Morgan loves spending time with her family in the outdoors skiing, camping and hiking. Lisa Pate is a Licensed Acupuncturist and Chinese Herbal Medicine practitioner. She has been working specifically in the field of reproductive medicine and fertility since 2004. After receiving her Masters degree in Acupuncture and Oriental Medicine from the Oregon College of Oriental medicine in 2001, she travelled to China to see this age–old, integrative medicine in action. While in China, she observed and studied in the women’s health, pediatric, and gastrointestinal clinics. She also has an undergraduate degree in nutrition, and maintains her license and registration as a Dietitian. Lisa is passionate about using her acupuncture skills and knowledge of Chinese medicine to provide personalized treatment for women and couples wanting to create and grow their family. For over 10 years, in both her private practice as well as working with reproductive endocrinologists in clinics, she has observed the numerous benefits that acupuncture and Chinese medicine can provide to women and families seeking support and treatment for their reproductive health, in vitro fertilization cycles, and other fertility interventions. Chinese Medicine is a well–developed and ancient practice that plays an important role in our modern–day medical world. Lisa is active in a multiyear, continuing education Chinese medicine program that fulfills her desire for ongoing study and further strengthens her skills as an acupuncture fertility specialist. Her private practice is located in Southeast Portland. When she is not there or studying, you can find her enjoying time with her family and friends, practicing yoga, and gardening. Liz Richards is a licensed acupuncturist and clinical herbalist with over a decade experience treating fertility patients with natural medicine. 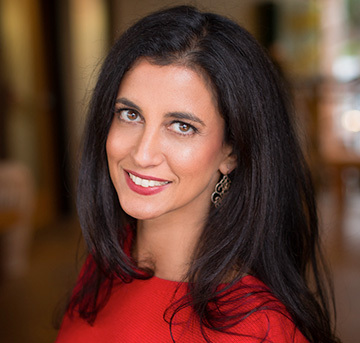 She is known for her compassion, connection to patients, and process-oriented approach. Liz is the clinic director and owner of Blossom Clinic in Portland, Oregon and author of Nourishing Fertility: An A-to-Z Guide, a patient-centered e-book filled with her best fertility tips and advice. Liz Richards is a 1996 graduate of Cornell University where she earned a BS in Human Development & Family Studies and pre-medical sciences. She also earned a masters degree in Acupuncture and Oriental Medicine from Oregon College of Oriental Medicine in 2002. Liz Richards is a member of RESOLVE National Infertility Association and National Association of Reproductive Medicine. She is licensed in the states of Oregon and California. She was acknowledged in Portland Monthly Magazine as a top practitioner in her field in 2014 and 2015. Lisa Tongel is an acupuncturist with 20 years’ experience in reproductive medicine. Lisa’s passion is helping women realize their dream of having a family. 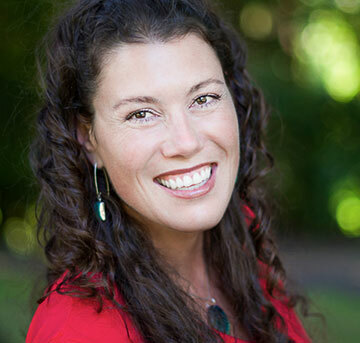 Since receiving her Master’s Degree in Acupuncture and Oriental Medicine from the Oregon College of Oriental Medicine in 1998, she is especially passionate about supporting women with diminished ovarian reserve, and recurrent pregnancy loss. With 5 years’ experience as a medical assistant to OB/GYNs, Lisa effortlessly bridges Traditional Chinese Medicine with conventional approaches to create the best possible care for her patients. 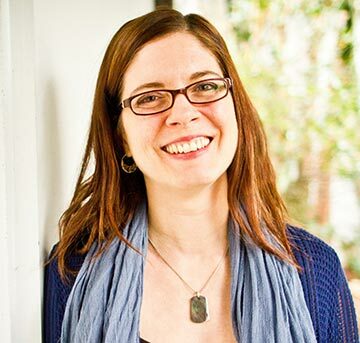 In 2000, Lisa was one of the first acupuncturists in Portland to begin working closely with ORM Fertility. This collaboration led to providing on-site acupuncture at the time of IVF embryo transfer starting in 2002. She has extensive experience using acupuncture and Chinese herbs as a successful adjuvant treatment during IVF and IUI cycles, and has supported thousands of women through their fertility cycles. Lisa has been a featured expert on KGW news, and has supervised Doctoral students at the Oregon College of Oriental Medicine during their clinical rotation in infertility. Lisa is committed to providing compassionate, individualized care to help women thrive at every stage of life. She currently sees patients at Portland Acupuncture Studio, located within Synergy Women’s Health Care, an integrated gynecology clinic in Northwest Portland. When not at work, Lisa has fun biking, hiking, listening to live music, and dancing. Smith C, Coyle M, Norman RJ. Influence of acupuncture stimulation on pregnancy rates for women undergoing embryo transfer. Fertil Steril. 2006;85(5):1352-1358. Domar AD, Meshay I, Kelliher J, Alper M, Powers RD. The impact of acupuncture on in vitro fertilization outcome. Fertil Steril. 2009;91(3):723-726. Isoyama D, Cordts EB, de Souza van Niewegen AM, de Almeida Pereira de Carvalho W, Matsumura ST, Barbosa CP. Effect of acupuncture on symptoms of anxiety in women undergoing in vitro fertilisation: a prospective randomised controlled study. Acupunct Med. 2012;30(2):85-88. Balk J, Catov J, Horn B, Gecsi K, Wakim A. The relationship between perceived stress, acupuncture, and pregnancy rates among IVF patients: a pilot study. Complement Ther Clin Pract. 2010;16(3):154-157. Han JS. Acupuncture and endorphins. Neurosci Let. 2004;361(1-3):258-261. Harris RE, Zubieta JK, Scott DJ, Napadow V, Gracely RH, Clauw DJ. Traditional Chinese acupuncture and placebo (sham) acupuncture are differentiated by their effects on mu-opiod receptors (MORs). Neuroimage. 2009;47(3):1077-1085.
de Lacey S, Smith CA, Paterson C. Building resilience: a preliminary exploration of women’s perceptions of the use of acupuncture as an adjunct to In Vitro Fertilisation. BMC Altern Med. 2009;9:50. Stener-Victorin E, Waldenstrom U, Andersson SA, Wikland M. Reduction of blood flow impedance in the uterine arteries of infertile women with electro-acupuncture. Hum Reprod. 1996;11(6):1314-1317. Stener-Victorin E, Waldenstrom U, Tagnfors U, Lundeberg T, Lindstedt G, Janson PO. Effects of electro-acupuncture on anovulation in women with polycystic ovary syndrome. Acta Obstet Gynecol Scand. 2000;79(3):180-188. Yu W, Horn B, Acacio B, Ni D, Quintero R, Nouriani M. A Pilot Study Evaluating the Combination of Acupuncture with Sildenafil on Endometrial Thickness. Fertil Steril. 2007;87(4):S23. Stener-Victorin E, Humaidan P. Use of acupuncture in female infertility and a summary of recent acupuncture studies related to embryo transfer. Acupuncture in Med. 2006;24(4):157-163. Hullender Rubin LE, Opsahl MS, Wiemer KE, Mist SD, Caughey AB. Impact of whole systems traditional Chinese medicine on in vitro fertilization outcomes. Reprod Biomed Online. 2015; 30(6):602-612.